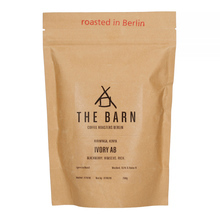 THE BARN is a leading coffee roaster in Europe and represents the Specialty Coffee Movement at the highest level since 2010. Their beans are served by many coffee shops and home brewers across the globe. 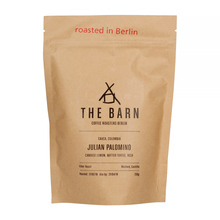 The Barn's vision has been very clear from the start: they focus on making coffees better and better. No compromise, no fakery - just great coffee. They would never blend our coffees in order to showcase specific flavour profiles and to present each farm we work with. This makes farmers proud and the product fully traceable. 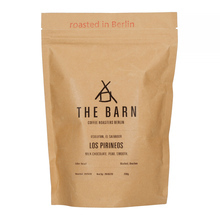 Their philosophy is to source and roast some of the best coffees available. By paying premium prices, they enable coffee farmers to create a sustainable business. All coffees are scoring 86 points and more; they are fresh in season and roasted to perfection. The beans are chosen for quality, cleanliness, sustainability and traceability. Only fresh, seasonal crop. It is one of their principles to treasure the value chain from crop to cup. The Barn's roast style is fully developed but light and clean. They bring out the full flavour potential of each coffee. Working with Single Origin Beans is a lot easier than using Blends - all beans are uniform and of highest grading. Coffees are cupped and tasted systematically. Their baristas work with these coffees every day and they give feedback on all roast batches. All levels of the company are integrated around roasting - which makes these coffees very special. Colombia El Salvador Honduras Kenya Washed light medium Espresso Pour over (Alternative brewing methods) Sort by: Price (Low to High) Price (High to Low) Product name a - z Product name z - a Highest rate Lowest rate New in!